Relationships are complicated; if there is love between two people then there are times when they fight too. But when these fights become regular, then the couple should sit and talk together to find out the reasons and eradicate them. However, when such fights increased a lot between a couple from Madurai, the wife did something which sent the husband to hospital. 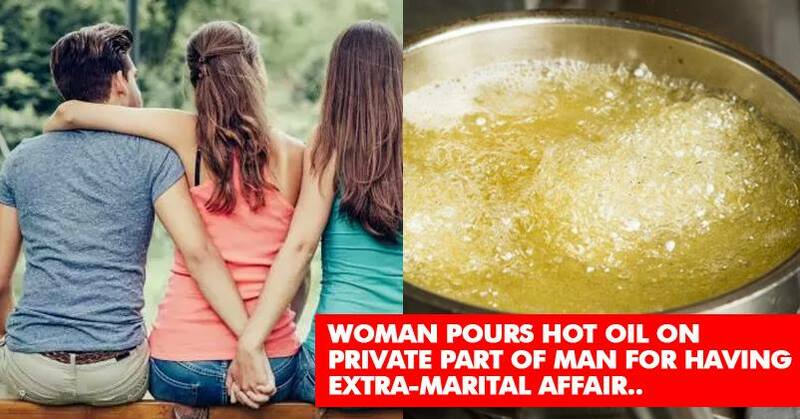 As per the police, P Sasikala (30) threw boiling oil on the private parts of her husband named M Parmeswaram as she was fed up of the regular brawls. In fact, she was very angry with her husband as he was having an affair with another woman in Virattipathu. The husband has been admitted in Rajaji Hospital (GRH) in Madurai. The matter was taken to police earlier as well when Parmeswaram stopped coming to house. Police issued a warning but it had no effect on him and he kept on staying with the other lady. Sasikala called her husband last week, talked to him nicely and called him home. When Parmeswaram came on Saturday night, Sasikala threw boiling oil on his private parts after he slept. What do you have to say with regard to the incident? Let us know your views.